ShineMat.com is online since 2009 and providing quality articles published by expert authors. We focus mainly on Blogging, SEO, Lifehacks, Education and Technological niche contents. We already have a loyal readership and growing this handsome traffic tremendously. Now we have decided to let Guest Bloggers explore their honorable talent on ShineMat guest post section. You are welcomed with red roses to write for us a guest post. ALSO READ: Why You Should Start Guest Blogging? Nowadays our every single post is read by thousands of online readers and over 22800+ subscribed peoples on various social media. Our every post is friendly with search engine listings. We are waiting to see your warm participation as a respected Guest Blogger to publish your creative thoughts at ShineMat. Why You'll Love To Write For Us Guest Posts? Along with general guest posting facilities you can also earn money through guest blogging on ShineMat. In guest blogging platform we are the first one who has this amazing money making feature. 1. A guest author will be paid just after completing his/ her 15 posts on this blog. ● The earning facility is only available for Bangladeshi guest bloggers. ● International guest bloggers can advertise their blog/ website on ShineMat $21 worthy advertisement for FREE for 3 months after submitting 15 posts. ● Available ad size is 468X60 at top header banner side and only GIF or JPEG format is allowed without any clickable link. 2. For Bangladeshi guest bloggers, $7.00 for 15 posts and money will be paid through bKash, ROCKET, and EBL account. 3. You will get a short (60 words max) author info/ source box just below at your all approved post(s) where we'll allow to add One do-follow link for your own blog or website URL. You can also add your Google Plus, Facebook or Twitter account link. 4. We will add your Google Plus account with rel="publisher" attribute. So that your profile visibility at SERP will be increasing dramatically. 5. 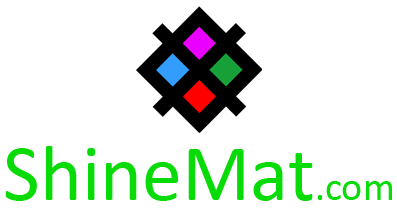 After publishing 30 unique posts on ShineMat, we will add your one personal profile page with your all published posts URLs and you can add one more extra-legal do-follow link on your profile page for the lifetime. 6. All posts will be shared over 50+ major social media/ bookmarking sites just after clicking on publish button. 7. We will increase your brand awareness and discover your business opportunities worldwide. Just join and write for us guest post on your favorite topic. 1. Articles should be at least 400 words. 2. Copy Pasting is strictly forbidden. We will check plagiarism deeply. Also, make sure your articles are not published before anywhere. 3. We don't allow any links from article body except Sponsored Post. 4. Affiliate marketing is not allowed. We understand you want to make money and for that, we offer "Write Guest Post and Get Paid" or "Premium Ads" facility for FREE for guest bloggers. 5. By publishing your guest post(s) on ShineMat you give us the copyright authorship of your post(s). This will be helpful for our DMCA Protection issues. 1. Write your post(s) at MS word and save it as .doc or .docx format. Select your necessary images/ videos/ screenshots. At last, make a zipped folder and put all elements into it. If you can't zip your files you can also attach all files directly one by one in your email. 2. Write your email subject to "Guest Post For ShineMat"
3. Mention your Full name and Mobile number at email body. This will help us to note your details easily. 5. If possible, send us an SMS for quick notification at +8801911095352 by writing "Guest Post For ShineMat"
We will review your post(s) within 24 - 48 hours and we will let you know about accepting and the reasons for rejection if rejected. Now we are waiting to hear from you that you want to write for us guest post and publish your exceptional and brilliant ideas globally. We are here to advantage you as more as we can. Wishing you a happy start with us.